An elegant antique French bed with delicate carved detail. Made in real mahogany it will blend well with older pieces of furniture and add a touch of style to a wonderful shabby chic room. 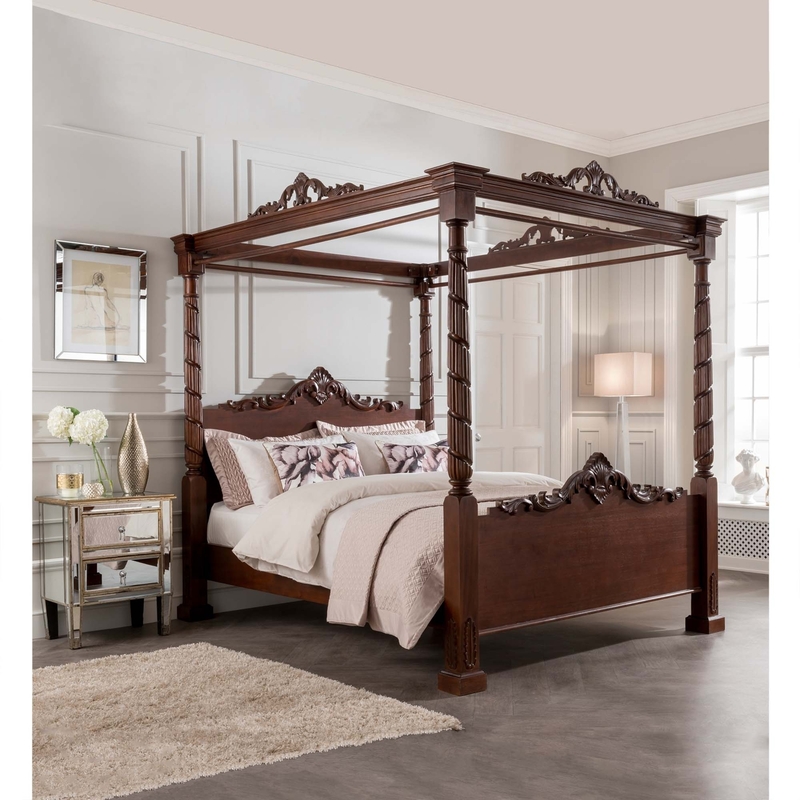 The bed is delivered semi assembled and will fit up most stair cases (this comprises of packs of posts, slats, side rails, headboard panel, footboard panel and decorative carving. There are simple wood poles supplied which are designed to take the drapes of your choice.